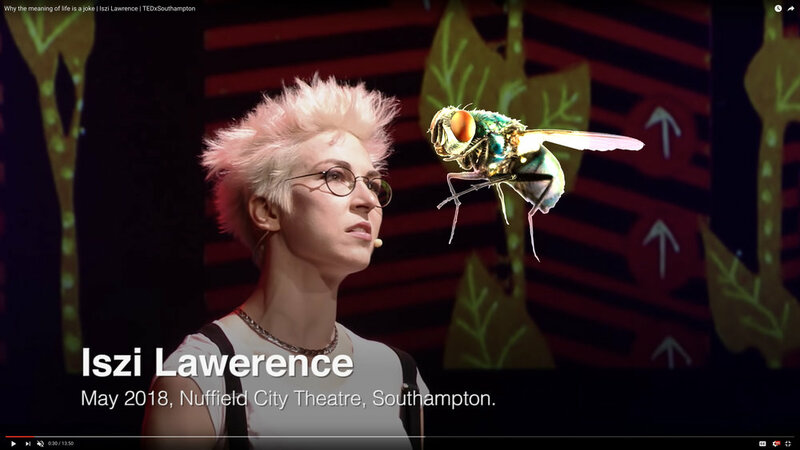 During my TEDX Talk a fly landed on my face. It was one of those moments. Do I stick to the carefully planned talk or risk jumping off script? 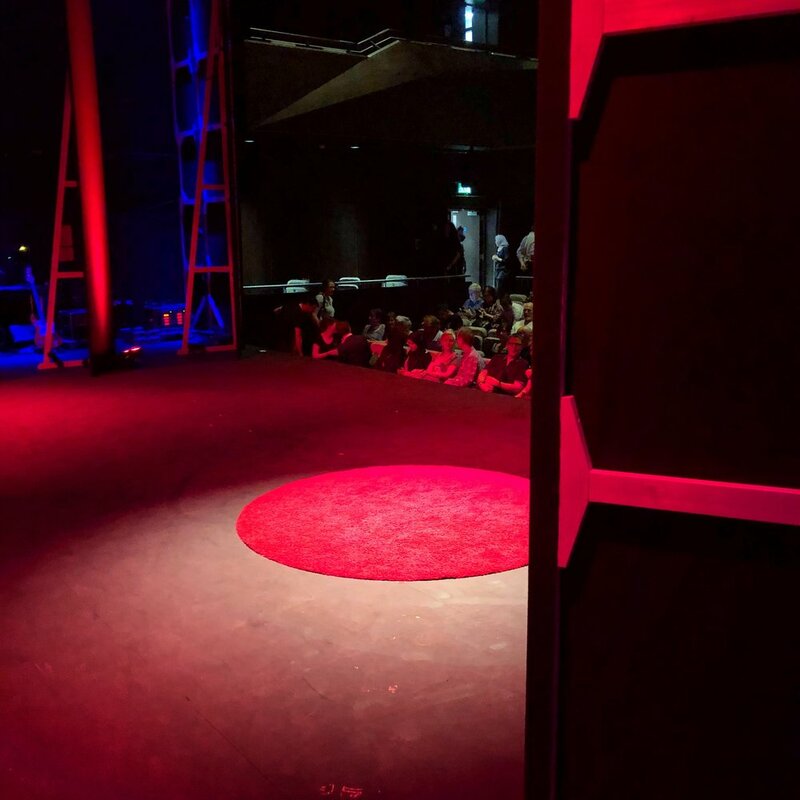 I was the first act on at TEDX Southampton in May 2018. Everyone was nervous. The crew backstage, the other acts, the host... even the audience who weren’t altogether sure what they were seeing. I felt very aware of my performance, I was going to set the tone for the rest of the event. We were also being filmed. So any errors not only would be embarassing in the moment but also be watched again and again for the rest of time/until youtube dies. Giving a talk is very different to doing stand up show. No only do you have to remember facts and figures but outright fibbing is discouraged. You also have to keep very strictly to time so you feel corseted by formality in a way you don't when you are just the clown. Also, the structure of a talk is different. It has a beginning, middle and end. You can’t jump about like you might in stand up routine and respond to things in the room the way you do when there are hecklers, beer being purchased and people moving about. So when a fly landed on my face... I was a bit stumped as to what I should do. Were it a stand-up gig the entire show would have been about that fly. I'd've dumped my material and gone straight for it. However the 'correct' thing here would have been to ignore and hope the film makers would edit round it and the audience be understanding. That wouldn't be a very 'me' thing to do though. I was lucky - it didn’t interrupt the flow of a story. Had it happened near a punchline, I would have just had to ignore it and curse the fact the audience stopped listening to focus on the insect crawling over me. Secondly I was pretty certain they had noticed it. The lighting in the Nuffield theatre make it possible to see the first few rows and I could see by the change in their faces they had spotted it. So I mentioned it. This is where my years as a podcaster and comedian really have helped me. I have learnt to trust my brain, to not break my flow but allow my thoughts to immediately spill from my mouth. Comedians often get rewarded for being 'fast on our feet' really our brains work at the exact same speed as everyone elses. All we do is take the filters and the gate keepers out of the way. We just say what pops into our heads and if it doesn't work, it is over pretty quick, we can recover and move on. I really recommend this as a public speaking technique. A lot of people absentmindedly begin to speak off the cuff but then lose confidence and apologise. Once you are committed to speaking off script you have to go for it. If you are a surgeon you can’t make the wrong cut and walk away, you have to think on your feet and repair any damage. You can’t do that by apologising and then carrying on as if nothing had happened, you have to be in the room and carry on the surgery. So, if you want to cut to the fly it is at 1 minute 58 seconds in. Otherwise enjoy the talk. And please do like and share the link as much as you can.